Refugee / Asylum | Immigration Attorney Fort lauderdale, FL - Miami, FL Adam Franzen. P.A. The Law Offices of Adam Franzen, LLC is dedicated to helping clients seek asylum. Asylum allows immigrants to escape the persecution that they suffered in their homelands and come to America to start a new life and end the persecution they were enduring. Additionally, it helps those people who did not suffer persecution in the past, but have a valid fear of persecution if they returned home. What is Asylum under United States Law? Under United States law, asylum may be granted to aliens who can establish they have well-founded and legitimate fear of persecution if they were forced to return to their country of citizenship or last habitual place of residence. The persecution must be on account of political opinion, race, nationality, religion or membership in a particular social group. Let our Law Firm help you today in filing your asylum claim. Our office is dedicated to helping people escape persecution in their home countries by providing them a safe haven in the United States. Asylum can be given to individuals who are just arriving to the United States or to people who are already physically present in U.S. Those individuals arriving in the U.S. at the port of entry may ask for asylum. However, individuals already in the U.S. must file their Application for Asylum and Withholding of Removal with the Bureau of U.S. Citizenship & Immigration Services within one year of their arrival. This filing deadline can be excused if the alien can display changed or extraordinary circumstances. When an immigrant is caught at a port of entry without proper documentation. If that person raises a claim for asylum or indicates a fear of removal when caught, he or she will be interviewed by an asylum officer first to determine whether he or she has a legitimate fear of persecution and next placed in removal proceedings. In a removal proceeding, the immigrant’s request for asylum will be heard by an immigration judge who will evaluate legitimacy of your case. If you are denied asylum, you will be deported. 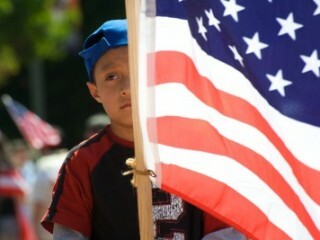 Prior to deportation, you will have an opportunity to appeal the immigration judge’s decision. Our attorneys work tirelessly to make sure you remain in the U.S. They gather all evidence to support your claim for asylum, including witness statements, police reports, arrest records, medical records, and information on your home country. Our expertise and training in immigration law allows us to provide clients with aggressive and knowledgeable legal representation at removal proceedings. We do our best to demonstrate to the immigration judge that you should not be forced to return to your home country and can handle various kinds of immigration appeals. “Affirmative asylum” is when a person applies for asylum with U.S. Citizenship and Immigration Services (USCIS). You must be physically present in the U.S., but you do not have to be documented in order to apply. The application for asylum must be filed within one year from the date of your arrival in the U.S. unless you can demonstrate that extraordinary circumstances existed that postponed your application’s submission. In the event your application is denied, your lack of legal immigration status may cause you to be placed in removal proceedings and then threatened with deportation. In order to apply for asylum, Form I-589 along with all necessary supporting documents must be filed with USCIS. You will then have an interview with an asylum officer at the USCIS’s Asylum Office having jurisdiction over your place of current residence. The officer will ask you questions regarding your experiences, about why you are seeking asylum, and why you are fearful about returning to your home country. We implore our clients to be honest as possible when responding to these questions. The immigration officer will then render a decision within 180 days of the interview unless there are exceptional circumstances that he/she has recognized. If the immigration officer’s decision is negative, in most cases, you will have an opportunity to seek independent review of this officer’s decision by an immigration judge in removal proceedings. Persecution includes various forms of mistreatment and harm, but must be more than discrimination and harassment. The types of acts that can constitute persecution include, but are not limited to, the following: threats of violence, interrogation, prosecution, beatings, arrest, detention, illegal searches, and substantial economic deprivation, confiscation of property, surveillance and sexual assault. This mistreatment and/or harm must be by the government of an individual’s home country or individuals in which the government is unable or unwilling to control. To be granted asylum, an individual must provide proof to show he or she has been persecuted in the past and/or is at risk of persecution if they were forced to return to their home country. The evidence to be considered in the asylum framework is the applicant’s testimony as well as any supporting proof in support of the applicant’s testimony. If the applicant is found credible, the applicant’s testimony alone may be sufficient to satisfy all elements of his/her asylum claim. Though, supporting proof, when available, could greatly aid the adjudicator in making a favorable decision in the case. The types of supportive evidence that can be used to assist an individual’s claim include, but are not limited to, the following: court summons, academic records, medical certificates, police reports, arrest records, statements from individuals who have personal knowledge regarding the claim, expert witness testimony, proof of membership in an organization, and background country conditions materials including when needed. Moreover, an individual can file an affirmative application for asylum, which will start the asylum process, or an individual can seek asylum as a defense to awaiting removal proceedings. A skilled immigration attorney who knows how to properly prepare, file, and present an asylum claim can considerably increase an individual’s chances of being granted asylum status by the United States Government. Our firm has a very successful track record of assisting countless clients to obtain asylum in the U.S. Our Office strives to provide amazing assistance to our clients by assisting them in preparing their asylum applications, obtaining, analyzing, editing and submitting the requisite supportive evidence, prepping the client to testify in support of their applications, and representing the client from the initial interview though the conclusion of their removal proceedings. If you are considering filing for asylum, it is critical to contact an immigration attorney to help guide you through the process. The U.S. immigration system poses serious challenges and obstacles for applicants for asylum, and having an experienced lawyer on your side can be the difference between staying in the U.S. and being deported. No matter where you live in the U.S., contact an immigration lawyer at The Law Offices of Adam Franzen, LLC., today for professional, accurate and swift help with your asylum application, when necessary and other related litigation. There are options and alternatives to asylum that clients can pursue to remain in the U.S. Withholding of removal is similar to asylum in many regards. Client’s can apply for withholding with the same form as asylum, and must establish a fear of persecution if they return to their country. If withholding is granted, you are given the opportunity to remain and legally work in the United States. However, immigrants who are granted a withholding of removal cannot apply for legal permanent residence (LPR), nor can they leave the U.S. without being barred from re-entry. Withholding of removal is frequently granted for immigrants who are not eligible for asylum, but have proven their case that their life may be in danger if they were forced to return to their home country. Additional alternatives are seeking relief under the U.N. Convention Against Torture (CAT). Contrary to asylum and withholding, CAT relief does not require proof of “fear under persecution”. However, obtaining relief under CAT is extremely hard, and only advisable if you have committed serious crimes while remaining in the U.S. Under United State law, the United States Government cannot return an alien to a country where that alien’s life or freedom would be imperiled, because of the alien’s, nationality, membership in a particular social group, race, religion or political opinion. Withholding of removal is solely available if an alien is placed in removal proceedings. Once a client establishes his or her life or freedom would be threatened in a particular country, withholding of removal shall be granted. It is a binding form of relief that shall be granted by the immigration judge unless certain fact criteria are present such as a conviction for a specific serious crime. To ensure eligibility for withholding of removal, the client must prove there is a clear probability he or she will be persecuted if they are returned to their particular county. Although withholding of removal is comparable to asylum in the ways, it is also vastly dissimilar. Asylum requires the alien to prove a well-founded fear of persecution; however, withholding of removal requires the alien to prove it is more likely than not he or she will be persecuted if returned to a particular country. Actually, the asylum applicant must show it is possible he or she will be persecuted whereas the withholding of removal applicant must show it is probable he or she will be persecuted if returned to a particular country. Another key distinction between asylum and withholding of removal is the benefits given from a grant of such relief. An individual who is given withholding of removal is actually subject to a final order of removal. Additionally, a grant of withholding of removal does not confer any status on the applicant’s spouse or children. A person granted withholding of removal has the right to remain in the United States and work. Even so, if an individual with a grant of withholding of removal travels outside the U.S., he or she will not be permitted to return. Furthermore, an individual granted withholding of removal does not have the right to apply for lawful permanent residence (LPR). An advantage to applying for withholding of removal is that an individual may seek such relief even if they entered a country more than a year ago. This would give someone who missed the one year filing deadline for asylum to avert being removed to a country where they would likely be harmed or persecuted. Additionally, withholding of removal is possible for aliens who have been convicted of a criminal offense that bars them from receiving a grant of asylum. A knowledgeable and skilled immigration attorney who understands how to properly prepare, file, edit and present an application for withholding of removal can significantly increase an individual’s chances of being granted withholding of removal by the United States Government. Typically, this is true as withholding of removal requires an individual to demonstrate a higher likelihood of harm. At The Law Offices of Adam Franzen, L.L.C., we have a successful record of helping clients obtain withholding of removal in the United States. Our Firm strives to provide sterling assistance to our clients by helping them prepare their applications for withholding of removal, obtain, analyze, critique and submit the requisite supporting evidence, prepare the client to testify in defense of their applications, and represent the client through the removal proceedings. If you consider needing Withholding of Removal please contact our Law Office today, ask a question online, or schedule an initial free consultation online. An individual who fears that he or she would be tortured by or at the initiation of or with the consent or acquiescence of a public official or other person acting in an official capacity if returned to their country of origin may qualify for relief from the United Nations Convention Against Torture. This Act allows an individual to remain in the United States if they are likely to be tortured or harmed in their country of origin. Differently than asylum and withholding of removal, to qualify for relief with the Convention Against Torture, an individual does not need to show that the torture he or she will be subjected to is “on account of” their race, membership in a particular social group, religion, nationality or political opinion. Additionally there is no one-year filing timeline for CAT relief. The standard for relief under the Convention Against Torture (CAT) is that it is more likely than not that the applicant would face torture, which is a very high burden to meet. The Convention Against Torture is very often not granted, because this standard requires at least a fifty-one percent (51%) probability that the individual will be tortured if returned to their country of origin. The main reason that an individual might seek relief under the Convention Against Torture is that if an applicant meets the high standard for relief, she or he shall be granted such relief, even if he or she has been convicted of very serious crimes (including aggravated felonies) in the United States. The immigration judge cannot deny the application. Nevertheless, if the United States Government feels that an individual who has been granted relief under the Convention Against Torture is a danger to the community, because he or she has committed very serious crimes, the United States Government could detain him or her even after having he or she been granted relief. Furthermore, an individual who has been granted relief under the Convention Against Torture cannot pursue permanent residence status and cannot travel outside of the United States. As such a granting of relief under the Convention Against Torture does not confer any status on the applicant’s spouse or children. It’s important to hire a skilled immigration attorney who understands how to properly prepare, file, and present an application for relief under the Convention Against Torture can dramatically increase a person’s chances of being granted such relief by the United States Government. This is practically important as withholding of removal requires persons to meet a high standard that torture will occur if returned to their country of origin. At The Law Offices of Adam Franzen, L.L.C., we have a successful record of assisting clients who apply for relief under the Convention Against Torture in the U.S. Our Law Office strives to provide assistance to our clients by helping them prepare their applications for relief under the Convention Against Torture, analyze, obtain and file the requisite supporting proof, prepare the client for testify in furtherance of their case, and represent the applicant through removal proceedings. If you require CAT protection please call our Law Office today, email a question online, or request a free initial consultation online today. The experience you deserve. The knowledge you desire. The results you want. From our location in Fort Lauderdale, The Law Offices of Adam Franzen, LLC handles immigration cases in all fifty states of the United States of America and for clients coming from countries throughout the world. If you need the help of an experienced and skilled immigration attorney today, call our number at 954-462-5790, or schedule an initial free consultation online.